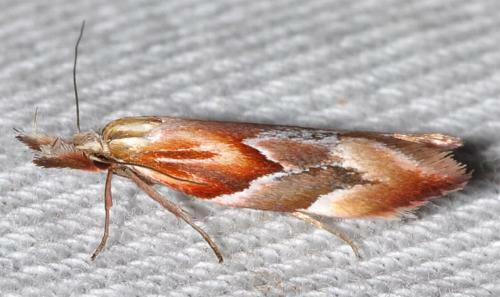 This adult moth has forewings that have a bold patterns of brown and white arrow-heads. The hindwings are plain grey-brown. The wingspan is about 2 cms. CSIRO Publishing, Melbourne 1994, pp. 15, 233-236, 343. Volume 10, Part 4 (1884), p. 827.